The University of Victoria’s Ocean Networks Canada and the Schmidt Ocean Institute (SOI) are undertaking an expedition on board the $62-million research vessel Falkor, with researchers from Canadian universities studying low-oxygen, acidic waters that form naturally off the coast of Vancouver Island. “This is an unprecedented opportunity for researchers to integrate the data gained from the sophisticated acoustic sampling and deep-sea observation tools on board the Falkor, with the scientific data streaming from the seafloor sites across our VENUS and NEPTUNE observatories,” says Dr. Kim Juniper, science director at Ocean Networks Canada. By combining the spatial survey and pathway research conducted aboard the Falkor with the comprehensive seafloor time series from Ocean Networks Canada's cabled network observatories, the research community is making significant breakthroughs to better understand the health of the coastal ocean. 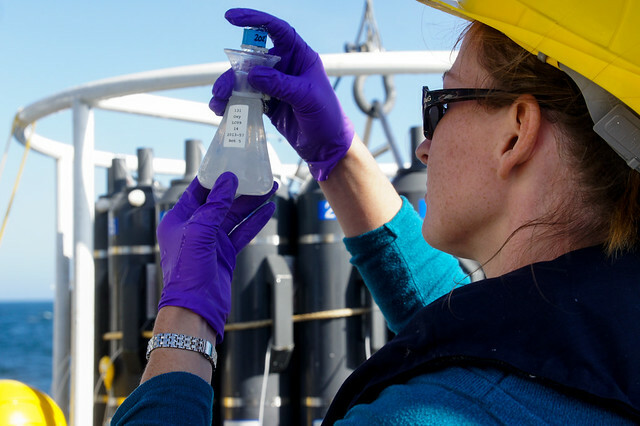 The scientists are studying the flow or pathways of these cold, low-oxygen waters from the open Pacific Ocean to the inner Salish Sea. The movement of this low-oxygen water is stressful for some forms of ocean life, including commercially important fish and shellfish, so researchers are also surveying the benthic, or bottom-dwelling ecosystems, along these pathways. 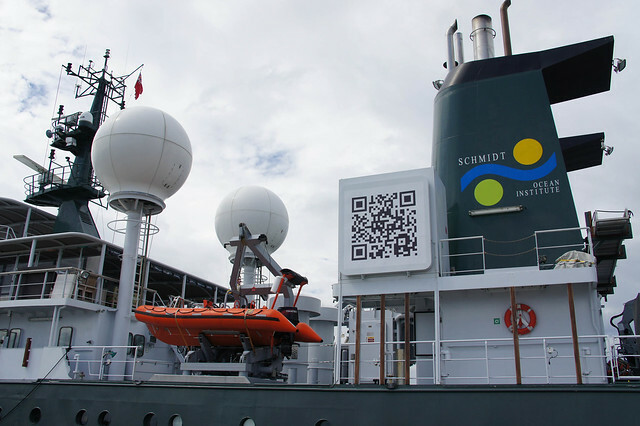 The Schmidt Ocean Institute is a private non-profit foundation that invites select scientific teams from around the world to conduct collaborative research aboard its flagship, Falkor. The 83-metre research vessel comes with an international crew of 23. It offers state-of-the art systems to support a range of oceanographic activities, including one of the most advanced sonar mapping systems in the world and a 360-degree marine mammal observation deck. 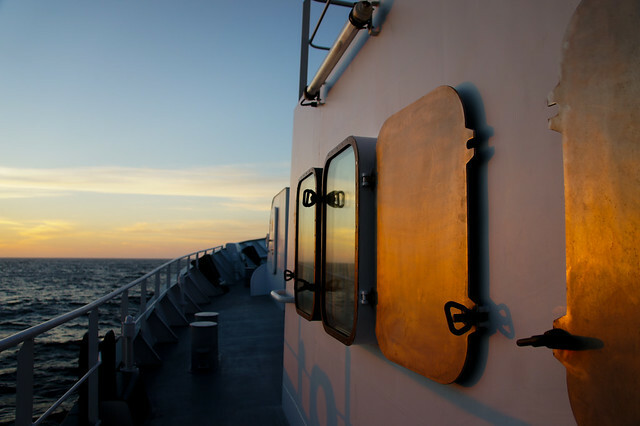 The month-long “From Open Ocean to Inner Sea” expedition has been divided into two legs, with 16-member teams working a 24-hour schedule. Scientists and crew members are using the vessel’s advanced array of acoustic sensors, profiling instruments and a remotely operated vehicle (ROV) to collect data, analyze samples, track water pathways from offshore to inshore and record video of the animals living along these routes. Scientists at UVic and the University of British Columbia, together with Canadian federal government oceanographers from the Institute of Ocean Sciences, plan to leverage this mission to advance the forecasting ability of the ONC observatories to mitigate the harmful effects of low-oxygen ocean waters. The public is invited to join the expedition virtually through regular blog posts and, from Sept. 6 to 18, live streaming video during the undersea dives by the Canadian Scientific Submersible Facility’s ROPOS ROV. The ROPOS high definition video cameras will be providing a portal to the colourful submarine cliffs in Saanich Inlet on Sept. 6 and 7, followed by views of ocean life in undersea canyons up to 2,000 meters deep. The Schmidt Ocean Institute is a private, US non-profit foundation established by Eric and Wendy Schmidt in 2009 to enable research that expands understanding of the world’s ocean using advanced technology and open sharing of information. Ocean Networks Canada (ONC), a University of Victoria initiative, manages the world’s most advanced cabled ocean observatories, VENUS and NEPTUNE, located off the west coast of southern BC.